Create a notification for "Buy a boat"
With the Astus 24, the builder is offering a multihull which can do everything: this folding trimaran will allow you to go to sea for the day, to enjoy yourself at the helm, as well as to go cruising for a few days. The huge cockpit is pleasant and well-protected, and at 7.4 meters long, the Astus 24 also offers a small cabin, with a salon, a galley a forward cabin and a toilet...not to mention the numerous stowage spaces. Folding and transportable, as are all the Astus, the 24 is easy to assemble, with its ingenious singlehanded mast stepping system. The Tricat 25 Evolution, which we discovered at the fall boat shows, really is a new boat, and not just a development of the Tricat 25 (as its name could lead you to believe). 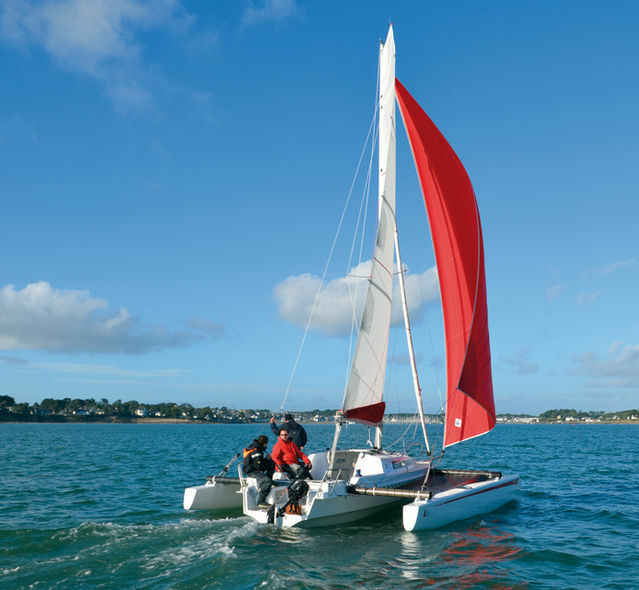 It offers a new, more functional and warmer interior, as well as new cross beams in carbon, new floats, and a new sail plan which offers increased but more useable power. 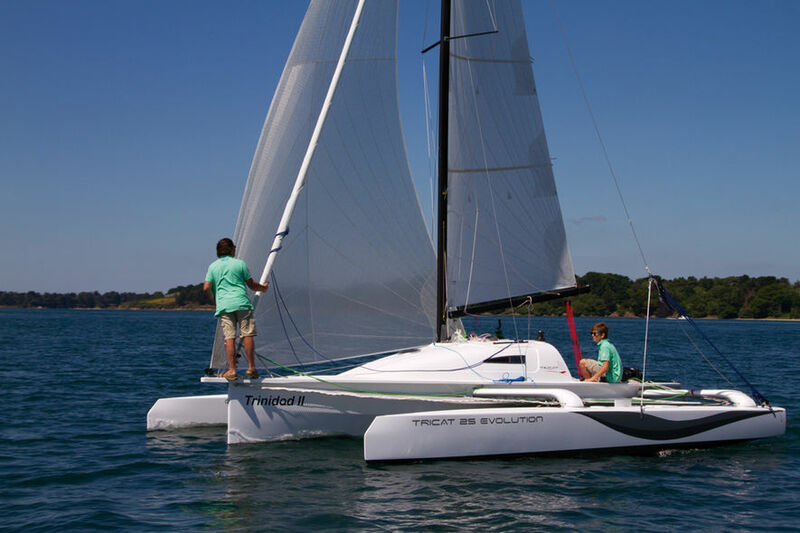 The Tricat 25 Evolution is stiffer, thanks to its construction using infusion techniques, and the use of a carbon – epoxy sandwich, and is even faster. 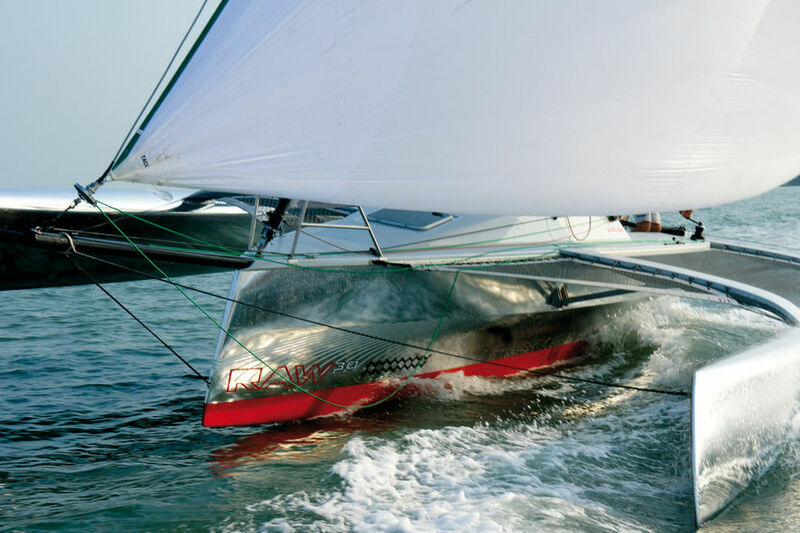 The Radikal T26 is designed, as is becoming the way with new boats, to offer real sailing pleasure on a light, fast trimaran. Designed by Perspective Design, the Radikal T26 is fast and fun, but also reassuring. The large cabin can accommodate up to 4 people, making it a boat which is as pleasant for families as it is for taking your racing friends to have fun. Note that several options are available, including the ‘full carbon’ treatment for the hull and floats – the beams and the mast are in carbon as standard.